2661 Shadyside Road, Findley Lake, NY.| MLS# 1043442 | Chautauqua Lake Real Estate Services. Informed, Professional Real Estate Information Serving Buyers and Sellers Interested in Lake Chautauqua Real Estate and Chautauqua County NY Real Estate. Rick and Julia McMahon Real Estate Advantage Since 1992. 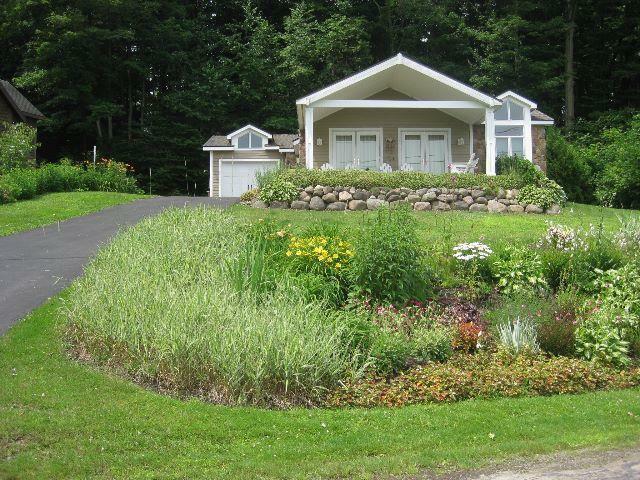 Neat and trim, single story, 3 bedroom, 1 bath home with panoramic views of Findley Lake. There is 80' of lakefront across the street and just steps down. This beauty even has a beach area created by the current owners. The house was built in 2004/5 and is energy efficient, low maintenance and designed for easy living and relaxation. On demand hot water, chlorination system, water softener and whole house filter are all part of the package. There is underground electricity and outside timing controlled outdoor lighting. There's even an outdoor shower for quick clean-up of pesky sand. There are perennials on the hillside that change with the seasons. The home has a beautiful silhouette perched on a hill. Superb sunrises can be seen from the covered front deck.